Princerai 2 years, 5 months ago. I DON’T KNOW THE STATUS OF THIS ROM YET. THIS COULD BE AN INITIAL ALPHA ROM OR JUST A DEVELOPMENT ROM. IT MAY NOT BOOT AT ALL OR IF AT ALL IT BOOTS THEN IT MAY NOT BE USABLE AS A DAILY DRIVER. I JUST FOUND THE DOWNLOAD LINK AND UPDATING HERE. TRY AT YOUR OWN RISK. ALSO MAKE SURE TO TAKE NANDROID BACKUP OF YOUR CURRENT ROM. I don’t want to waste your time and my time too and hence I basically verify the system/build.prop and/or updater-script to get the build details at the first place before posting any ROM. I may be wrong at times and hence it is your responsibility to verify once more about the legitimacy of the ROMs. Installing a custom ROM on a the Xioami Mi4i may require the bootloader to be unlocked, which may VOID your warranty and may delete all your data. Before proceeding further you may consider backup all data on the phone. You are the only person doing changes to your phone and I cannot be held responsible for the mistakes done by you. 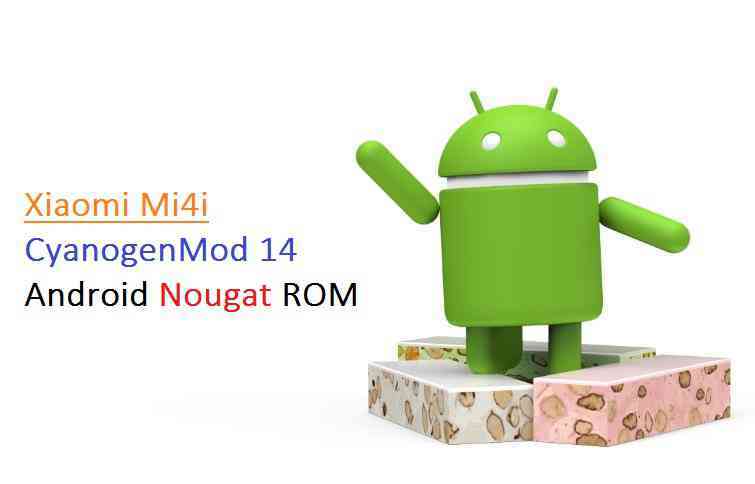 Download and Copy the Nougat GApps and CyanogenMod 14 Nougat ROM ZIP to your Mi4i phone. Reboot and Enjoy the CyanogenMod 14 Nougat ROM on your Mi4i. How to Enable ROOT Access on CM13/CyanogenMod 13. Yes this guide is for CM13 but should work fine for CM14 too. Stay tuned or Subscribe to the Xiaomi Mi4i forum For other Android Nougat ROMs, CyanogenMod 14 ROMs, other ROMs and all other device specific topics. not able to install, tried so many time.